Looking for the nearest pizza restaurant to satisfy your cravings? Look no further. 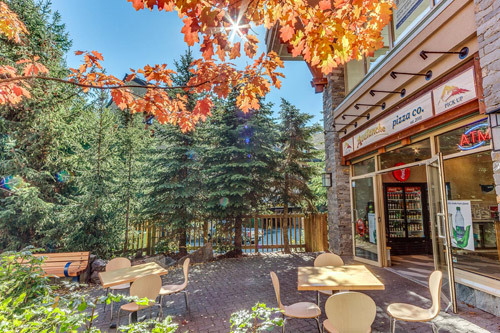 One of the best pizza places in Whistler is Avalanche Pizza Co. is located at Unit 104 - 4320 Gateway Drive in Whistler village and opens at 11:00 am until 3:00 am, 7 days a week. 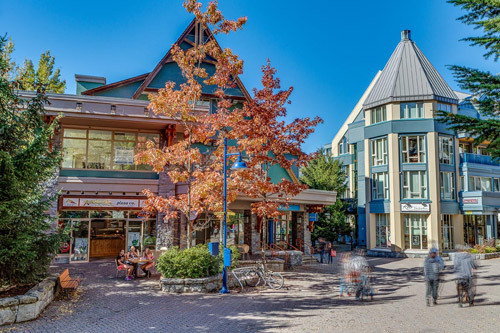 The location is very easy to walk to in the village and is located behind the Whistler Visitor Information Centre near the taxi loop. Our restaurant is so conveniently located, not even the summer heat nor winter snow can keep you from one of the best places to eat in Whistler. Stop by the Whistler village restaurant for a great lunch or dinner meal during any season. The local staff at Avalanche Pizza are always happy to see hungry customers who are looking for great Italian style food in the village. Once you’ve tasted our delectable pizzas that are made only from the freshest, highest quality ingredients, you will no longer be willing to try other pizza places in Whistler Village. And, whenever you feel a strong craving for pizza when it's late, our doors are (almost!) always open for you. Avalanche Pizza stays open until 3:00 AM, serving hot, pizza loaded with the best and freshest ingredients to satisfy the cravings of even the most demanding pizza lover. Enjoy our food here, in a comfortable environment where you can savor the taste of our pizzas, salads, chicken fingers, and chocolate pudding cake. 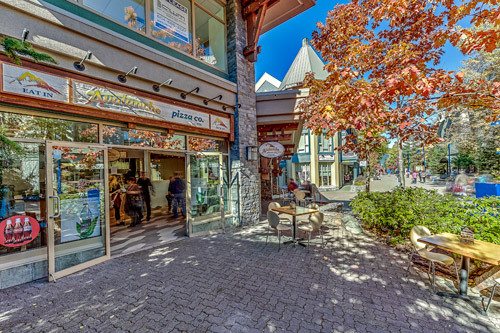 Or, when the weather is warm, relish every bite on our patio, surrounded by the best that Whistler Village has to offer. No matter where you choose to eat our food, we guarantee a great experience! Whether you're a Whistler local or just visiting, you may have already searched for 'best pizza places near me' and discovered our restaurant. Our restaurant has built a reputation for providing top quality and delicious food, for we serve a wide selection of fantastic Italian cuisine meticulously prepared by skilled chefs. When you visit Avalanche Pizza, your food is freshly made to order. Whether we're cooking for a party of two or a large group, you can be sure to enjoy nothing but the best quality food. The conveniently located restaurant in the village offers many dining tables for eat-in and also offers takeout as an order option. You can relax at the restaurant after an adventurous day in the resort while enjoying the very best pizza in Whistler during any season. Parking for skis, snowboards and mountain bikes is available out front. Open 7 days a week, 365 days a year. For reservations or if you have any questions, please feel free to give us a call at 604.932.3131.